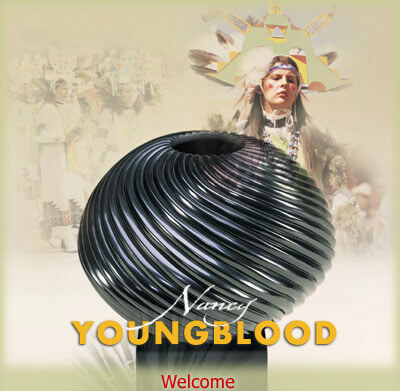 Nancy Youngblood's official web site. Nancy Youngblood is history in the making. This site is intended to be a resource for those interested in knowing about her traditional, Native American pottery, her family history, current exhibits, articles and publications, awards and contact information. 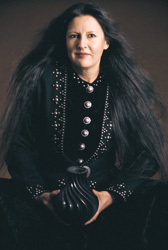 Please enjoy this site by following the links for information about Nancy Youngblood's techniques and methods for creating her award winning pottery, a video on pottery making, and how you can view a demonstration with this outstanding woman artist. Also, bookmark this page and visit often for updates. Copyright © Nancy Youngblood Inc.